One of the Florida Keys’ greatest assets is a lively community of visual artists. 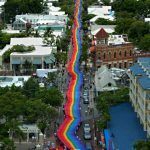 You’ll find high-quality artwork in galleries, public buildings, art fairs, outdoor markets and exhibitions from Key Largo to Key West. This evocative portrait, created by Sandra Rodriguez and Emmanuel Diaz, is among the breathtaking works in the “Visions of Cuba” exhibition. And this winter and spring, four extraordinary shows celebrate creations by artists ranging from Keys talents to those born in neighboring Cuba. Featuring contemporary pieces by more than 50 notable Cuban artists, who now live in spots around the world, it brings the enduring cultural connection between Key West and Cuba alive. 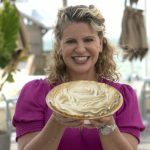 The Gato Building is a truly meaningful setting, because it was originally one of Key West’s leading cigar factories — where scores of skilled Cuban workers produced tens of thousands of cigars each day. “Visions of Cuba” is presented by the Florida Keys Council of the Arts and curated by Alaen Ledesma Fernandez. It continues through April 18, and it’s flat-out stunning. You’ll find paintings that recall Renaissance masterpieces, make subtle political statements, play with absurdist themes, depict stark beauty and communicate dreams of a better life. Many of participating artists attended Havana’s Instituto Superior de Arte, Cuba’s leading art academy — and their shining talent and unique worldview will stop you in your tracks. Enjoy Watercolor Wonders. Images in watercolor, acrylic and other mediums take center stage at the Florida Keys Watercolor Society’s 37th annual judged exhibition, held at the Marathon Community Theatre (5101 Overseas Highway). 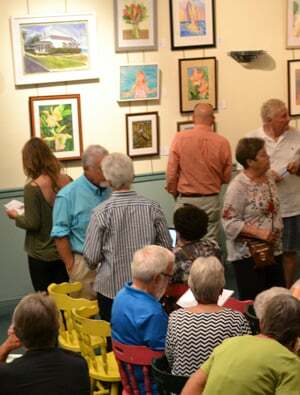 The Florida Keys Watercolor Society’s talented members display their works at an annual show. After an evening reception Sunday, March 3, the show opens for daytime viewing Thursday, March 7. It can be seen from 11 a.m. to 4 p.m. each Thursday, Friday and Saturday through April 6 — and society member artists will be on hand to share insights into the featured work. Alternatively, enjoy the artistry before the curtain rises and at intermission during the Marathon Community Theatre’s production of “La Cage aux Folles,” which coincides with the exhibit. And if you fall in love with a piece, you can happily take it home. Artwork is for sale, with part of the price donated to the theater. Discover the Connections Project Mural. 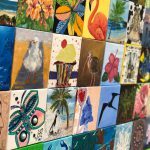 A 24-foot mosaic mural, featuring art by more than 300 Florida Keys artists and arts supporters (yes, really! ), is touring the island chain to celebrate the connection between the community and local cultural initiatives. 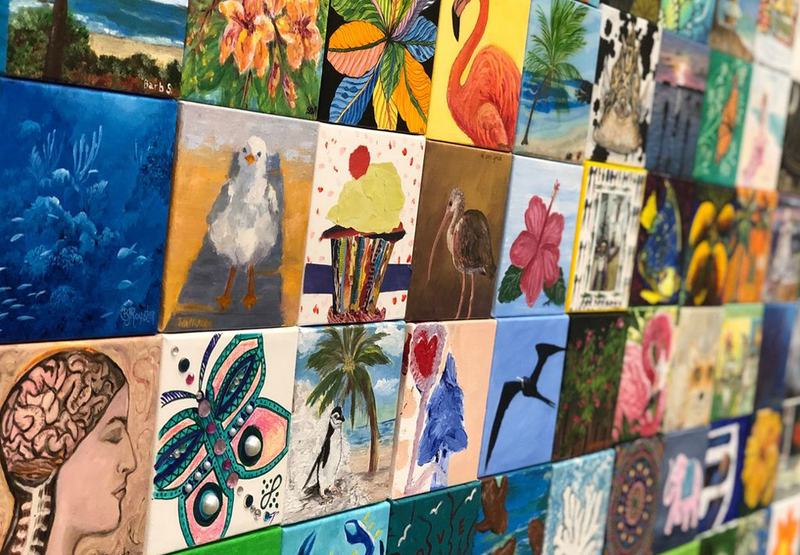 The Connections Project mural, spearheaded by the Florida Keys Council of the Arts, is titled “A Mosaic of the Keys” because it consists of individual 6-inch-square canvases — all adorned by local professional artists and creative residents. The “connected” mural is terrific. 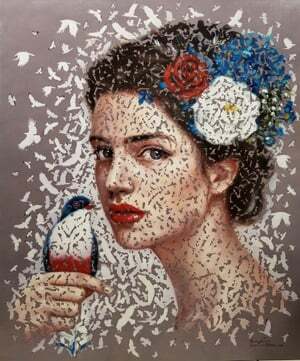 A blend of painting, photography, mixed media and three-dimensional pieces, it’s a colorful and engaging tapestry of Keys creativity. 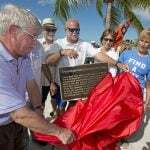 The mural’s “road show” tour includes displays in Key Largo, Islamorada, Marathon, Big Pine Key and finally Key West, with a reception celebrating its opening at each site. Once the tour ends in May, you can collect one or more canvases — sold in a unique “random choice” process that benefits Keys artists and arts organizations through Arts Council grants. This tranquil image, titled “Monday Morning,” won “Best in Show” at the Art Guild of the Purple Isles’ 2018 exhibition. View Purple Isles Artistry. Islamorada is sometimes called the Purple Isles, and the Art Guild of the Purple Isles is as vibrant as its namesake locale. 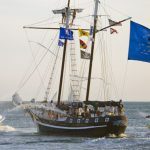 The guild’s annual show runs Wednesdays through Sundays, March 6-24, at the Florida Keys History & Discovery Center at the Islander Resort (mile marker 82). Show hours are 10 a.m. to 5 p.m. and admission to the center is free for those attending. 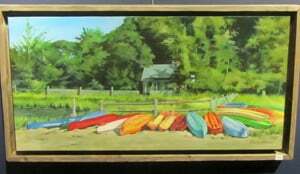 You’ll discover several dozen images in acrylic, oils, watercolor, pastels, photography, digital art and other media — plus plein air painting. The acclaimed Upper Keys fine arts guild held its first show 51 years ago. These days it has more than 100 members who are passionate about making art a vital part of the local community and lifestyle. 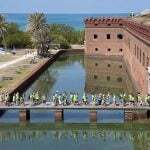 Want to know more about the Keys’ amazing arts community? Just click here or here.